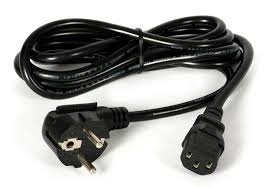 napájecí 230V k PC - EUROTECH TRADE A.S.
U každého zakoupeného počítače je tento kabel automaticky v ceně. V prípadě že potřebujete další přidejte si do košíku tuto položku. 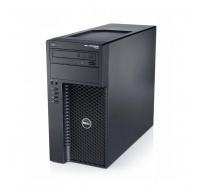 Dell Optiplex 380 sffPC Dell Optiplex 380 sff Intel DualCore E5400 2,7GHz, 4 GB RAM, 160 GB HDD, DVD-ROM, Intel GMA 4500, Windows 7 Prof.
HP Z620 2x XEON 32GB RAMHP Z620 2x Intel Xeon E5-2609 quadro Core 2,4 GHz, 32 GB RAM, 300 GB WD velociraptor 10tis ot. + 500GB HDD, DVD-RW, Nvidia Quadro K620 1GB, Win 10 Prof. 64bit. 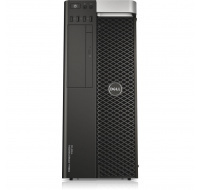 Dell Precision T5610Dell Precision T5610 2x Intel Xeon E5-2620 v2 SIX Core 2,1GHz, 32 GB RAM, 240 GB SSD + 2 TB HDD, DVD-RW, Nvidia Quadro K2000, Win 10 Prof.
Dell OptiPlex 990 desktopDell OptiPlex 990 desktop Intel Core i5-2400 3,1 GHz, 4 GB RAM, 250 GB HDD, DVD, Intel HD 2000 Graphics, Windows 7 Prof.
Dell Precision T5600 2x six core xeon Win 10Dell Precision T5600 2x Intel Xeon E5-2620 Six (6) Core 2 GHz, 32 GB RAM, 2x 500GB HDD , DVD-RW, Nvidia Quadro 2000, Win 10 Prof. 64bit. 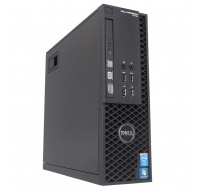 Dell OptiPlex 7010 desktop SSDDell OptiPlex 7010 desktop Intel Core i5 3470 3,2 GHz, 4 GB RAM, 128 GB SSD, DVD-RW, Intel HD 2500 Graphics, Windows 10 Prof.
HP Z210 Workstation XEON WIN 10HP Z210 Intel Xeon E3-1270 QuadCore 3,4GHz, 8 GB RAM, 500 GB HDD, DVD-ROM, Radeon HD 4550, Win 10 Prof. 64bit. 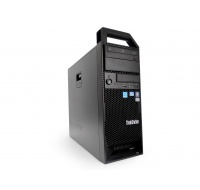 Lenovo Thinkstation S30 XEONLenovo Thinkstation S30 Intel XEON quad core E5-1607 3 Ghz, 8 GB RAM, 500 GB HDD, DVD-RW, Nvidia NVS 450, Win 10 Prof.
HP Z230 sff Workstation Win10HP Z230 sff Intel Core i7-4770 3,4GHz, 8 GB RAM, 500 GB HDD, DVD-RW, Intel HD4600, Win 10 Prof.
Dell Precision T7610 2x OCTA CORE 128 RAM quadro K4000Dell Precision T7610 2x Intel Xeon E5-2650v2 octa (8) Core 2,6 GHz, 128 GB RAM, 240 SSD + 2 TB HDD , DVD-RW, quadro K4000 , Win 10 Prof. 64bit. 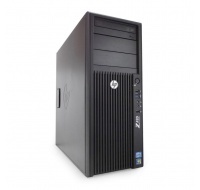 HP Z620 2x XEON OCTA CORE quadro 4000HP Z620 2x Intel Xeon E5-2650 octa (8) Core 2GHz, 64 GB RAM, 240 GB SSD + 1 TB HDD, DVD-RW, Nvidia Quadro 4000 2GB, Win 10 Prof.
Dell OptiPlex 7010 desktopDell OptiPlex 7010 desktop Intel Core i5 3470 3,2 GHz, 4 GB RAM, 250 GB HDD, DVD-RW, Intel HD 2500 Graphics, Windows 7 Prof.
Dell Precision T5610 WIN 10Dell Precision T5610 2x Intel Xeon E5-2620 v2 SIX Core 2,1GHz, 32 GB RAM, 240 GB SSD + 2 TB HDD, DVD-RW, Nvidia Quadro K600, Win 10 Prof.
Dell Precision T5610 quadro K4000Dell Precision T5610 2x Intel Xeon E5-2630 v2 SIX Core 2,2GHz, 32 GB RAM, 240 GB SSD + 2 TB HDD, DVD-RW, Nvidia Quadro K4000, Win 10 Prof.
HP 6300 sff WIN 10HP PRO 6300 sff Intel Core i7-3770 QuadCore 3,4GHz, 8 GB RAM, 750GB HDD, DVD-RW, Win 10 Prof.
Dell Precision T7610 2x OCTA CORE 256 RAM quadro K5000Dell Precision T7610 2x Intel Xeon E5-2650v2 octa (8) Core 2,6 GHz, 256 GB RAM, 240 SSD + 2x 2 TB HDD , DVD-RW, quadro K5000 , Win 10 Prof. 64bit. 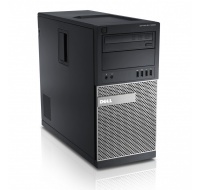 Dell Optiplex 745 TOWERPC Dell Optiplex 745 TOWER Intel Core2Duo E6300 1,86GHz, 3,5 GB RAM, 240 GB HDD, Intel GMA 3000 256MB, Win 7 prof.
Dell OptiPlex 7010 desktop WIN 10Dell OptiPlex 7010 desktop Intel Core i5 3470 3,2 GHz, 4 GB RAM, 250 GB HDD, DVD-RW, Intel HD 2500 Graphics, Windows 10 Prof.
HP Z200 Workstation XEON AkceHP Z200 Intel Xeon X3470 QuadCore 2,93GHz, 4 GB RAM, 160 GB HDD, DVD-RW, Nvidia Quadro NVS 290, Win 7 Prof. 64bit. Dell Precision T7600 2x HEXA core xeonDell Precision T7600 Intel Xeon 2x E5-2630 hexa (six) Core 2,3GHz, 64 GB RAM, 240GB SSD+2TB HDD, DVD-RW, Nvidia Quadro K2000, Win 10 Prof. 64bit. 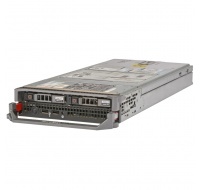 Dell Precision T1700 sff XEONDell Precision T1700 sff Intel Xeon E3-1220 v3 3,1 GHz, 8 GB RAM, 500 GB HDD, DVD-RW, Quadro K600 1GB, Windows 7 Prof.
Dell Precision Tower 3620 XeonDell Precision T3620 minitower Intel Xeon E3-1245 v5 3,5 GHz, 8 GB DDR4 RAM, 1 TB HDD, DVD-RW, Quadro 2000, Windows 10 Prof.
HP Z600 2x CPU xeon HP Z600 2x Intel Xeon E5620 QuadCore 2,4GHz, 16 GB RAM, 2x 300 GB HDD RAPTOR, DVD-RW, Nvidia Quadro 410, Win 10 Prof.
Dell Precision T5810 Ati firepro W5100Dell Precision T5810 Intel Xeon E5-1620 v3 QuadCore 3,5GHz, 32 GB RAM, 1 TB HDD, DVD-RW, Ati Firepro W5100, Win 10 Prof.
HP Z620 2x XEON Quadro K2000HP Z620 2x Intel Xeon E5-2609 quadro Core 2,4 GHz, 32 GB RAM, 300 GB WD velociraptor 10tis ot. 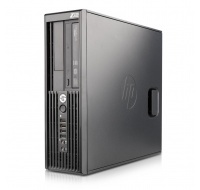 + 500GB HDD, DVD-RW, Nvidia Quadro K2000 1GB, Win 10 Prof. 64bit. Dell OptiPlex 7010 sff WIN10Dell OptiPlex 7010 sff Intel Core i7-3770 3,4 GHz, 8 GB RAM, 500 GB HDD, DVD-RW, Intel HD 4000 Graphics, Windows 10 Prof.
HP Z620 2x XEONHP Z620 2x Intel Xeon E5-2609 quadro Core 2,4 GHz, 32 GB RAM, 300 GB WD velociraptor 10tis ot. + 1TB HDD , DVD-RW, Nvidia Quadro K620 1GB, Win 10 Prof. 64bit. 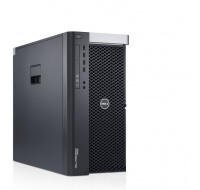 Dell Precision T1700 MT XEON Win10Dell Precision T1700 minitower Intel Xeon E3-1270 v3 3,5 GHz, 8 GB RAM, 500 GB HDD, DVD-RW, Quadro K600 1GB, Windows 10 Prof.
Dell OptiPlex 7010 sff SSDDell OptiPlex 7010 sff Intel Core i7 3770 3,4 GHz, 8 GB RAM, 120 GB SSD, DVD-RW, Intel HD 4000 Graphics, Windows 7 Prof.
Dell OptiPlex 7010 sffDell OptiPlex 7010 sff Intel Core i7 3770 3,4 GHz, 8 GB RAM, 500 GB HDD, DVD-RW, Intel HD 4000 Graphics, Windows 7 Prof.
Lenovo Thinkstation S30 XEON quadro K600Lenovo Thinkstation S30 Intel XEON quad core E5-1607 3 Ghz, 8 GB RAM, 500 GB HDD, DVD-RW, Quadro K600 , Win 10 Prof.
HP Z220 sff WIN 10HP Z220 sff Intel Core i7-3770 QuadCore 3,4GHz, 8 GB RAM, 1 TB HDD, bez mechaniky, Intel HD4000, Win 10 Prof.
HP Z440 Workstation HP Z440 Intel Xeon E5-1650v3 HEXA Core 3,5 GHz, 32 GB RAM, 2TB HDD, Nvidia Quadro K620 1GB, Win 10 Prof. 64bit. HP Z440 Workstation K2000HP Z440 Intel Xeon E5-1650v3 HEXA Core 3,5 GHz, 64 GB RAM, 750GB HDD, Nvidia Quadro K2000 2GB, Win 10 Prof. 64bit. 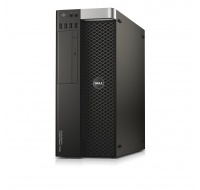 Dell OptiPlex 7010 i3 usff WIN 10Dell OptiPlex 7010 usff Intel Core i3-3220 3,3 GHz, 4 GB RAM, 320 GB HDD, DVD-RW, Intel HD 2500, Windows 10 Prof.
Dell Precision T1700 E3-1246 v3Dell Precision T1700 sff Intel Xeon E3-1246 v3 3,5 GHz, 8 GB RAM, 2 TB HDD, DVD-RW, Windows 10 Prof.
Dell Precision T7610 2x OCTA CORE 128 RAM quadro K5000Dell Precision T7610 2x Intel Xeon E5-2650v2 octa (8) Core 2,6 GHz, 128 GB RAM, 240 SSD + 2x 2 TB HDD , DVD-RW, quadro K5000 , Win 10 Prof. 64bit. 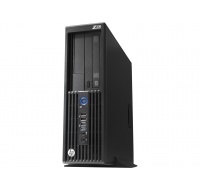 HP Z440 Workstation quadro K4200HP Z440 Intel Xeon E5-1650v3 HEXA Core 3,5 GHz, 64 GB RAM, 240GB SSD + 2TB HDD, DVD-RW, Nvidia Quadro K4200 4GB, Win 10 Prof. 64bit. Dell Precision T7600 quadro 4000Dell Precision T7600 Intel Xeon 2x E5-2667 hexa Core 2,9GHz, 32 GB RAM, 240GB SSD+2TB HDD, DVD-RW, Quadro 4000 , Win 10 Prof. 64bit. Dell OptiPlex 7010 sff SSD WIN 10Dell OptiPlex 7010 sff Intel Core i5 3470 3,2 GHz, 4 GB RAM, 240 GB SSD, DVD-RW, Intel HD 2500 Graphics, Windows 10 Prof.
Dell Precision T5810 Quadro K4200Dell Precision T5810 Intel Xeon E5-1650 v3 Hexa Core 3,5GHz, 32 GB RAM, 240GB SSD + 2TB HDD, DVD-RW, Nvidia Quadro K4200, Win 10 Prof.
Dell Optiplex 780 TOWERPC Dell Optiplex 780 Intel Core2Duo E8400 3GHz, 4 GB RAM, 160 GB HDD, DVD-ROM, Intel GMA 4500 až 1292MB, Windows 7 Prof. 64bit. 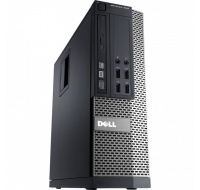 Dell OptiPlex 7010 sff WIN 10Dell OptiPlex 7010 sff Intel Core i5 3470 3,2 GHz, 4 GB RAM, 500 GB HDD, DVD-RW, Intel HD 2500 Graphics, Windows 10 Prof.
Dell Precision T7610 2x XEONDell Precision T7610 2x Intel Xeon E5-2637v2 quatro Core 3,8 GHz, 64 GB RAM, 180GB SSD + 1TB HDD , DVD-RW, Quadro K4000 , Win 10 Prof. 64bit. 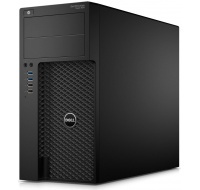 Dell Precision T1650 i7Dell Precision T1650 Intel Core i7-3770 QuadCore 3,4 GHz, 8 GB RAM, 500 GB HDD, DVD-RW, Intel HD 4000, Win 10 Prof.
Dell Optiplex 380 sff Win10PC Dell Optiplex 380 sff Intel DualCore E5400 2,7GHz, 4 GB RAM, 160 GB HDD, DVD-ROM, Intel GMA 4500, Windows 10 Prof.
HP Z220 sff 240GB WIN 10HP Z220 sff Intel Core i7-3770 QuadCore 3,4GHz, 8 GB RAM, 240 GB SSD, bez mechaniky, Intel HD4000, Win 10 Prof.
Dell Precision T1650 MT XeonDell Precision T1650 MT Intel Xeon E3-1220 V3 3,1 GHz, 8 GB RAM, 500 GB HDD, DVD-RW, Quadro K600, Win 10 Prof.
Dell OptiPlex 7010 sff i5Dell OptiPlex 7010 sff Intel Core i5 2400 3,1 GHz, 4 GB RAM, 250 GB HDD, DVD-RW, Intel HD 2000 Graphics, Windows 10 Prof.
Dell Precision T1650 i7Dell Precision T1650 Intel Core i7-3770 QuadCore 3,4 GHz, 8 GB RAM, 500 GB HDD, DVD-RW, Radeon HD7470, Win 10 Prof.
HP Z420 Workstation XEON Hexa core HP Z420 Intel Xeon E5-1650 HEXA Core 3,2 GHz, 16 GB RAM, 500 GB HDD, DVD-RW, Nvidia Quadro K600 1GB, Win 10 Prof. 64bit. 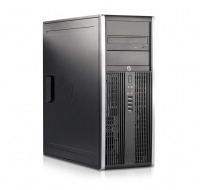 HP Z420 Workstation XEON Hexa core 32GBHP Z420 Intel Xeon E5-1650v2 HEXA Core 3,5 GHz, 32 GB RAM, 1TB HDD, DVD-RW, Nvidia Quadro K2000 1GB, Win 10 Prof. 64bit. 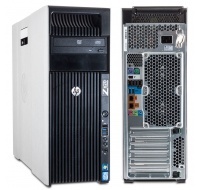 HP Z420 Workstation XEON WIN10HP Z420 Intel Xeon E5-1650 HEXA Core 3,2 GHz, 32 GB RAM, 500 GB HDD, DVD-RW, Nvidia Quadro K600 1GB, Win 10 Prof. 64bit. 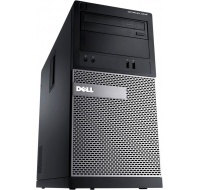 Dell Precision T3600 six core xeonDell Precision T3600 Intel Xeon E5-1650 SIX Core 3,2GHz, 32 GB RAM, 500 GB HDD, DVD-RW, Nvidia quadro K600, Win 10 Prof. 64bit. 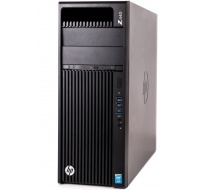 HP Z420 Workstation XEON Hexa core 32GBHP Z420 Intel Xeon E5-1650v2 HEXA Core 3,5 GHz, 32 GB RAM, 500GB HDD, DVD-RW, Nvidia Quadro K600 1GB, Win 10 Prof. 64bit. Dell Precision T3600 SSD a Quadro k600Dell Precision T3600 Intel Xeon E5-1620 QuadCore 3,6GHz, 16 GB RAM, 240 GB SSD + 500 GB HDD, DVD-RW, Nvidia quadro K600, Win 10 Prof.
HP Z420 Workstation XEON SSD Quadro 2000HP Z420 Intel Xeon E5-1650v2 HEXA Core 3,5 GHz, 32 GB RAM, 240GB SSD +1TB HDD, DVD-RW, Nvidia Quadro 2000 1GB, Win 10 Prof. 64bit. Dell Precision T7810 quadro K4200Dell Precision T7810 Intel Xeon E5-2637v3 QuadCore 3,5GHz, 32 GB RAM,1 TB HDD, DVD-RW, Nvidia Quadro K4200, Win 10 Prof.
i5 - 4 generace ! 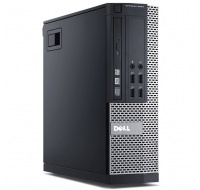 Dell OptiPlex 3020 sffDell OptiPlex 3020 sff Intel Core i5-4570 3,2 GHz, 8 GB RAM, 500 GB HDD, DVD-RW, Intel HD 4600, Windows 10 Prof.
HP Z420 Workstation XEON Hexa core SSDHP Z420 Intel Xeon E5-1650 HEXA Core 3,2 GHz, 16 GB RAM, 240GB SSD , DVD-RW, Nvidia Quadro K600 1GB, Win 10 Prof. 64bit. 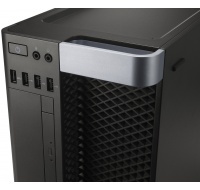 Lenovo Thinkstation S30 XEON AKCELenovo Thinkstation S30 Intel XEON quad core E5-1607 3 Ghz, 16 GB RAM, 240 SSD, DVD-RW, Quadro K600 , Win 10 Prof.
HP Z420 Workstation XEON quadro 2000HP Z420 Intel Xeon E5-1650 HEXA Core 3,2 GHz, 32 GB RAM, 500 GB HDD, DVD-RW, Nvidia Quadro 2000 1GB, Win 10 Prof. 64bit. 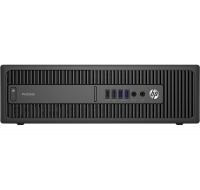 HP ProDesk 600 G2HP ProDesk 600 G2 SFF Intel Core i3-6100 3,7 GHz, 4 GB RAM, 500 GB HDD,HD 530, Win 10 Prof.
HP Z220 sffHP Z220 sff Intel Core i7-3770 QuadCore 3,4GHz, 8 GB RAM, 1 TB HDD, bez mechaniky, Intel HD4000, Win 7 Prof.
Dell Optiplex 9010 AIO All In OneDell Optiplex 9010 AIO All In One Intel Core i5-3470S 2,9Ghz, 4 GB RAM, 500 GB HDD, DVD-RW, 23" FHD 1920x1080, Win 10 Prof.
Dell Optiplex 9030 AIO All In One i7Dell Optiplex 9030 AIO All In One Intel Core i7-4790s 3,2Ghz, 8 GB RAM, 500 GB HDDD, DVD-RW, 23" FHD 1920x1080, WIFI, Webcam, Win 10 Prof.